VS Code, Typescript, thefuck? What do each of these have in common? 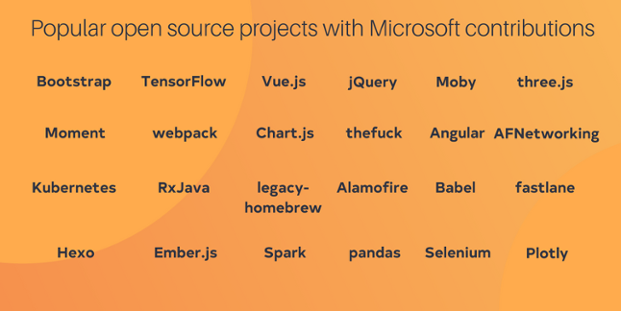 They’re all popular open source projects Microsoft has contributed to, and they represent the investment Microsoft has made to become a better open source community citizen. After all, only a few years ago, it would have been unthinkable to imagine this week’s scenario of Microsoft acquiring GitHub. Even Microsoft itself seemingly admitted this in their blog post accompanying the announcement. 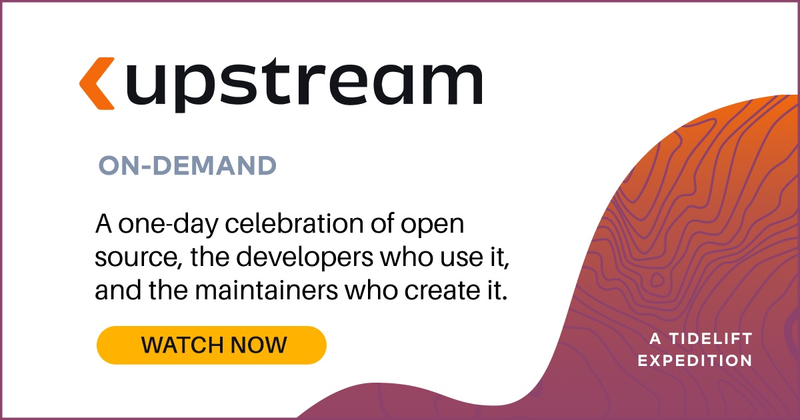 “When it comes to our commitment to open source, judge us by the actions we have taken in the recent past, our actions today, and in the future." As evidence, Microsoft points out that they are now the most active organization on GitHub, with more than 2 million commits. But what exactly has been Microsoft’s role in the open source community? In which projects and ecosystems have they contributed most? 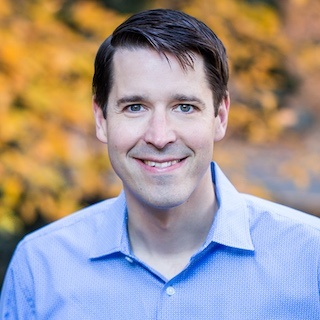 Have those contributions been focused on the large Microsoft open source initiatives, or has the company also participated in projects beyond their immediate purview? Microsoft asked us to judge them on their actions. So let’s do it—and look to the data for answers. In this case, we joined data from GitHub and Tidelift's own Libraries.io, the largest open source software dataset in the world, covering over 2.8 million open source projects. By combining the two, we were able to gather the entire commit history of each project on GitHub while also cleaning the data of forks and duplicate packages that would otherwise misinform the analysis. Our analysis shows that Microsoft had an impressive number of unique committers to open source projects on GitHub—almost 5,000. By comparison, Facebook had 2,504 unique committers and Red Hat had 4,380 unique committers, while Google led the way with over 8,000 different individuals committing to open source projects. Microsoft employees have—perhaps obviously—made many of their commits to their home-grown open source projects, including over 25,000 commits to VS Code, over 24,000 to roslyn, and over 18,000 to Typescript. However, those projects haven’t been solely driven by Microsoft. VS Code, for example, has received 26% of its commits from developers outside of Microsoft. But what about non-Microsoft projects? Want to see all of the open source packages Microsoft has committed to? Click above. What do these commits look like? We found some of these contributions enable a Microsoft integration. Take thefuck (and yes, you read that correctly), a popular Python package for correcting misspellings in your command line. 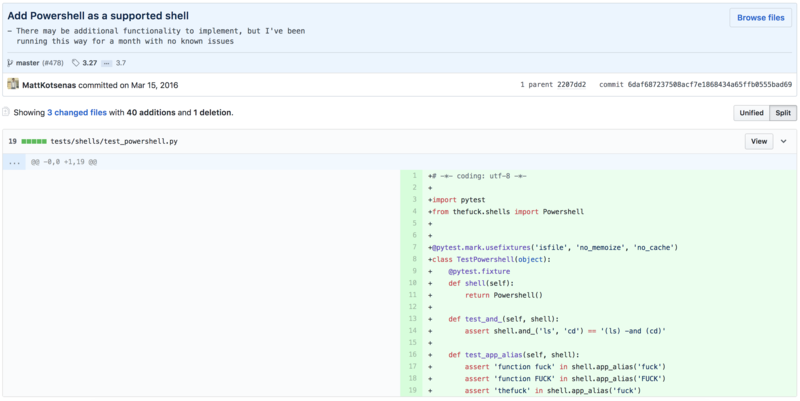 Microsoft pushed a series of commits to help integrate it with Windows and later PowerShell. What are some other notable clusters of Microsoft engagement? Data science: pandas, spark, even Google-born Tensorflow! Microsoft may have a mixed history with open source, but today the company is demonstrating some impressive traction when it comes to open source community contributions. If we are to judge the company on its recent actions, the data shows what Satya Nadella said in his announcement about Microsoft being “all in on open source” is more than just words. As for the future, we welcome Microsoft's productive engagement with the open source community, and we look forward to to seeing what the future holds. We’ll share additional data as we have it. In the meantime, let us know if you’d like to receive updates, and follow us on Twitter.